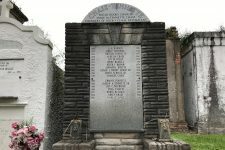 When St. Louis Cemetery No. 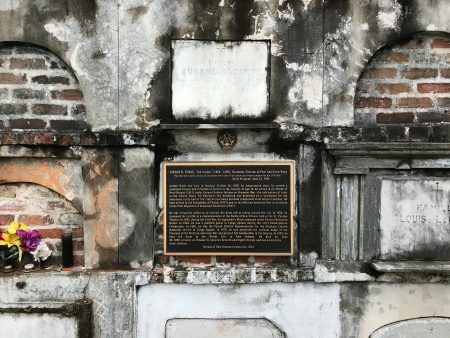 2 was consecrated in 1823, it abutted the swamp that lay behind New Orleans proper–city officials believed that proximity to human remains contributed to outbreaks of disease. 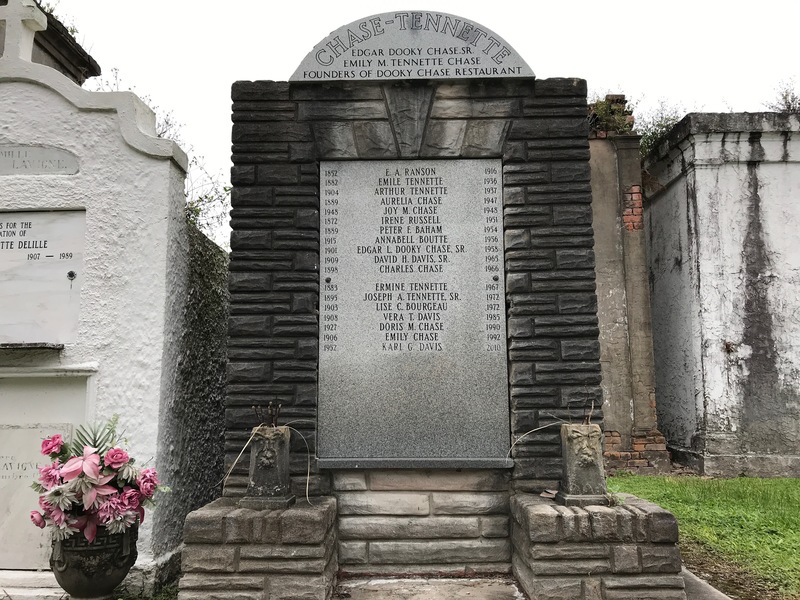 As the surrounding neighborhood developed later in the 1800s, funeral processions with brass bands became a common spectacle along Claiborne Avenue. Edgar “Dooky” Chase Jr. (1928 – 2016), while in his teens, led a touring big band that included standout jazz trombonist Benny Powell. 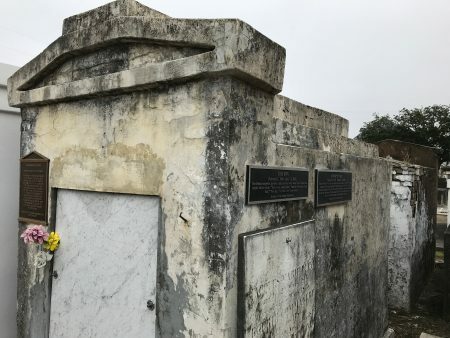 He later served as treasurer of New Orleans’ black musicians’ union and, when the big band era waned, laid down his trumpet to promote jazz and R&B stars. He is best known, though, for running Dooky Chase Restaurant with his wife, chef Leah Chase. 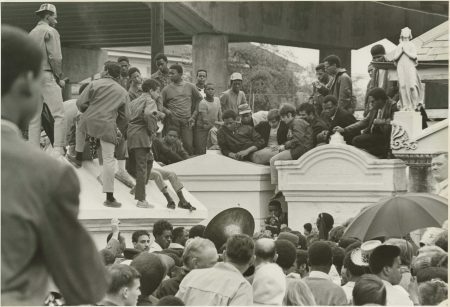 Named for Chase’s father, the Treme landmark was hailed not just for its creole cuisine but also as a hub of Civil Rights organizing and a haven for black artists from across the country. Paul Barbarin (c. 1899 – 1969) grew up in a musical family at the dawn of the jazz age and became an influential drummer, bandleader, and composer. He played with a who’s who of early jazz greats, from King Oliver to Louis Armstrong. 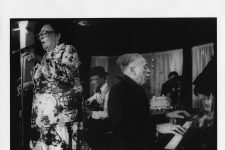 After moving north for work in the 1920s and 30s, he resettled in New Orleans in the 40s and played a major role in the midcentury traditional jazz revival (he wrote the standard “Bourbon Street Parade” in 1955). Barbarin died the way other New Orleans musicians muse about: playing his instrument, on Mardi Gras Day, marching in the Rex parade. Danny Barker (1909 – 1994) was a banjoist, guitarist, singer, storyteller, historian, author, and lodestar to generations of New Orleans musicians. 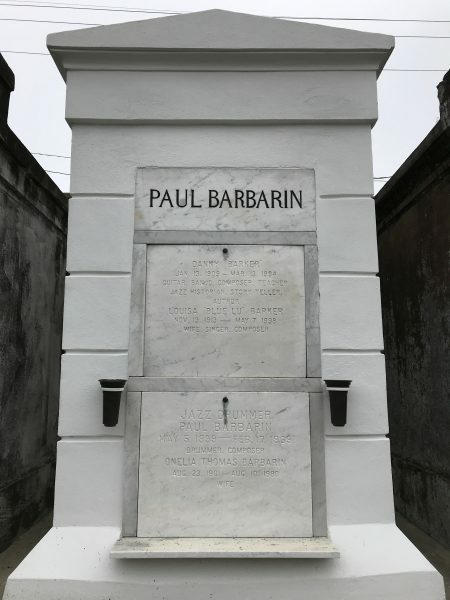 He grew up surrounded my music—Paul Barbarin, with whom he was interred, was his uncle. 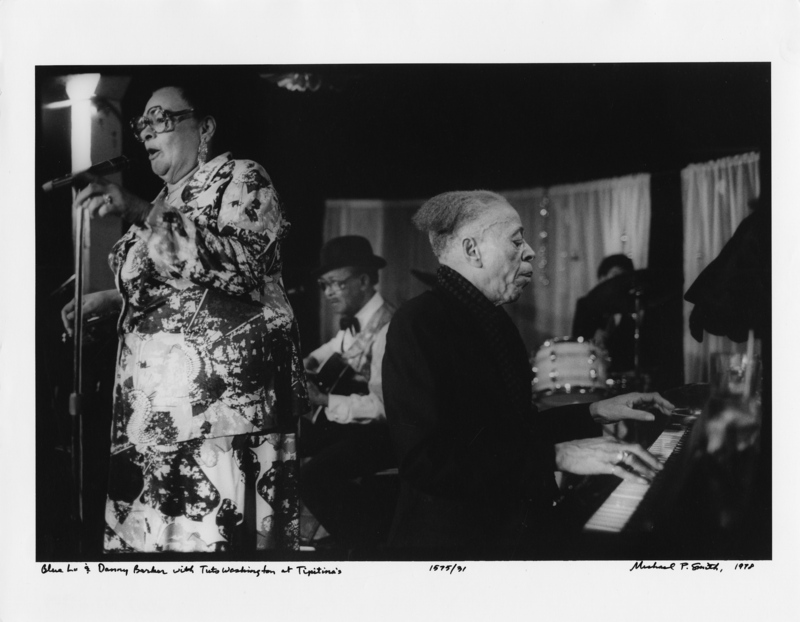 After cutting his teeth in the honky tonks of New Orleans, Barker spent decades based in Harlem playing with A-list jazz artists. 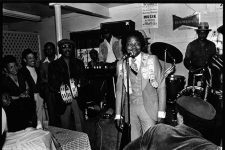 He moved back to his native Seventh Ward in the 1960s, and began organizing young people into brass bands, inspiring a city-wide brass band and second line renaissance that has only grown in the years since his passing. Louisa “Blue Lu” Barker (1913 – 1998) was a singer best known for ribald blues tunes like “Don’t You Feel My Leg,” written by her husband Danny and released by Decca Records in 1938. She recorded and performed in New York in the 40s and 50s before moving back to New Orleans, where she’d grown up. 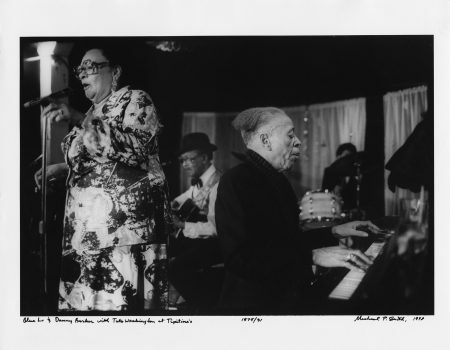 In the 1970s and 80s, hometown crowds greeted her as a grande dame of the blues. 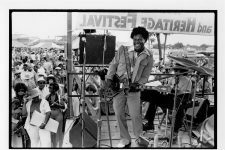 Earl King, born Earl Silas Johnson IV (1934 – 2003), was a titan of New Orleans rhythm and blues, one of the city’s finest songwriters, and a world-class raconteur. He leapt from the Chitlin Circuit to the Billboard charts in 1955 with “Those Lonely, Lonely Nights,” and followed up with the classics “Come On” and “Trick Bag.” He also produced and wrote for other artists, including hits for Lee Dorsey and Willie Tee and the Mardi Gras standard “Big Chief” for Professor Longhair. 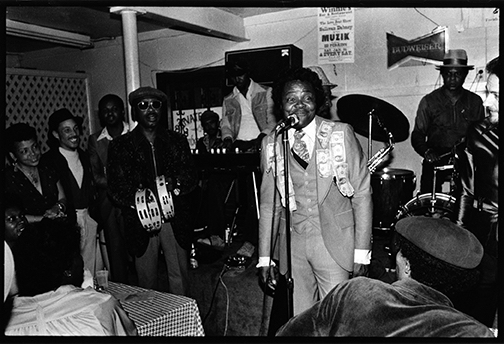 A consummate New Orleans character, King published a gossip sheet about the famous Dew Drop Inn, and, in his later years, held court at an uptown Tastee Donuts. Ernie K-Doe (1936 – 2001) had a national No. 1 hit with “Mother-in-Law” in 1961. 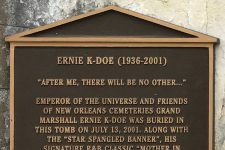 A dynamic performer, K-Doe toured widely and recorded numerous other R&B gems in the 1960s, including “T’aint It the Truth” and “A Certain Girl.” As a DJ on radio station WWOZ in the 1980s he unleashed surreal monologues, often casting himself as a mythic figure. In a late-career comeback cut short by cancer, he proclaimed himself “Emperor of the Universe” to the bemused assent of his fans. He often said that “Mother-in-Law” would be one of two songs to exist for all time (the other being “The Star Spangled Banner”). Antoinette K-Doe (1943 – 2009) resuscitated her husband Ernie’s career and established a home base for him—and a diverse community of artists—at the Mother-in-Law Lounge in 1995. After his death she celebrated his memory by keeping a statue of him in the Lounge, which she dressed and took to events around town. In 2000 she helped revive the Baby Doll tradition, a practice among black women dating to the early 1900s of masquerading in bonnets and bloomers for Carnival. Jordan Bankston Noble (ca. 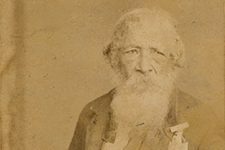 1800 – 1890) was born into slavery and marched into the Battle of New Orleans in 1815 as a drummer boy, signaling Andrew Jackson’s orders to his troops. 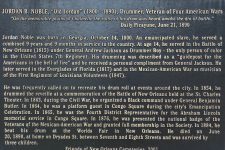 Noble’s valor earned him special standing among people of color in the city, where he continued to drum in ceremonial processions into the 1880s, prefiguring the black parading practices of the jazz age. 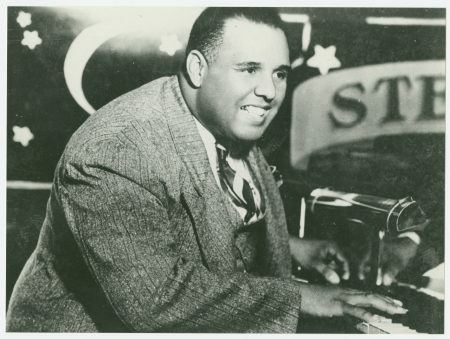 Walter Gabriel “Fats” Pichon (1906 – 1967) was playing piano in A.J. Piron’s jazz band by age 14. At 18, George Gershwin heard him and supported his formal training on the East Coast. Pichon went on to play on riverboats up and down the Mississippi. 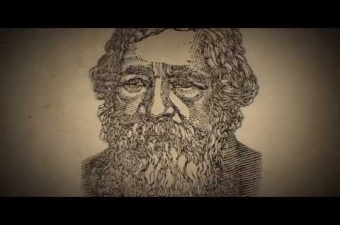 He also wrote arrangements and sang on records with the likes of King Oliver. 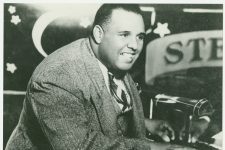 Locally he’s best remembered as the house pianist at the Old Absinthe House on Bourbon Street in the 1940s and 50s, where he was known as the Fat Man (before Mr. Domino made the nickname his own). Isidore “Tuts” Washington (1907 – 1984) was a barrelhouse piano prodigy who grew up playing in Black Storyville. 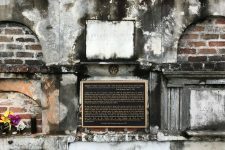 As a soloist in the days before jukeboxes, he provided the soundtrack at the saloons and sporting houses on South Rampart Street (where a young Professor Longhair studied his technique). He was also welcomed into some of the city’s top jazz bands. In the 40s he and the great Smiley Lewis joined forces in a blues trio, and in the 50s he played with Papa Celestin on Bourbon Street. He gigged into his 70s as an elder statesman of the New Orleans piano tradition, dying on stage at the 1984 World’s Fair in the Warehouse District. The jazz funeral of drummer Paul Barbarin in 1969. The procession followed the newly opened Claiborne overpass to Square 2 of St. Louis Cemetery No. 2. 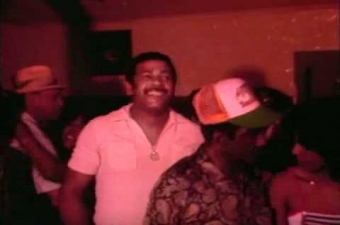 Rare footage of drummer Paul Barbarin leading his band in "My Bucket's Got A Hole In It." 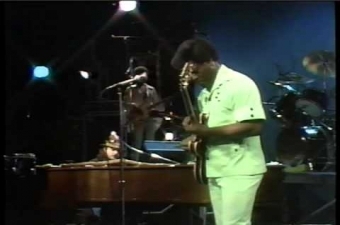 Earl King performing "Those Lonely, Lonely Nights," his biggest hit, with Dr. John on piano. An interview with Mother-in-Law Lounge founder Antoinette K-Doe from 2008, three years after Hurricane Katrina. 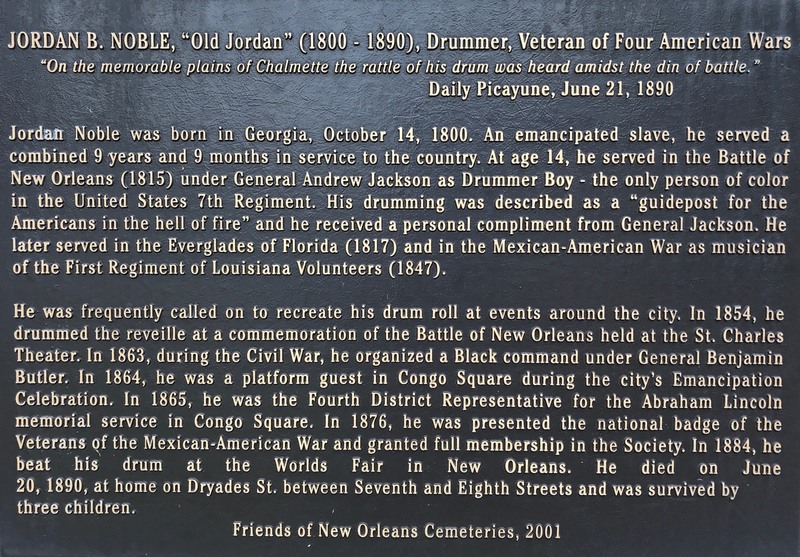 From WYES, a short look at Jordan B. Noble, who drummed in the Battle of New Orleans and in the streets of the city for decades afterward. The final resting place of trumpeter, bandleader, and restaurateur Edgar "Dooky" Chase (1928-2016). Courtesy of Jordan Hirsch. Photo by Jordan Hirsch. 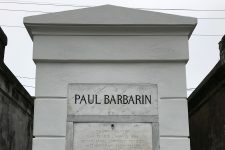 Paul Barbarin's funeral in St. Louis Cemetery No. 2 in 1969. 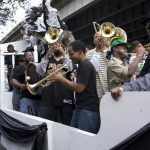 Barbarin died while playing in a parade on Mardi Gras Day. Courtesy of Hogan Jazz Archive at Tulane University. Photo by Ben C. Toldedano. The final resting place of Paul Barbarin (1899-1969), Danny Barker (1909-1994), and Louisa "Blue Lu" Barker (1913-1998). 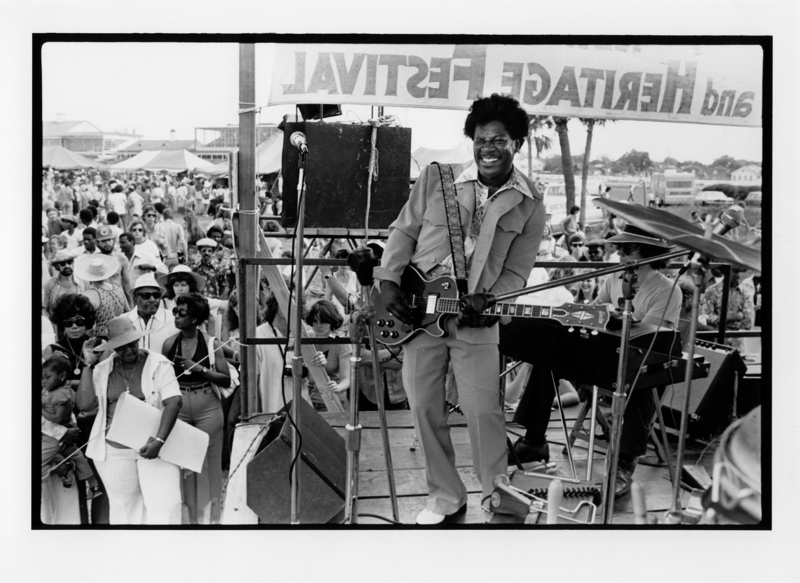 "Blue Lu" Barker, Danny Barker, and Tuts Washington on stage in 1978. 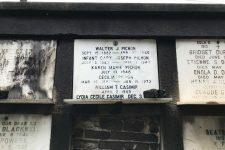 All three are interred in Square 3 of St. Louis Cemetery No. 2. 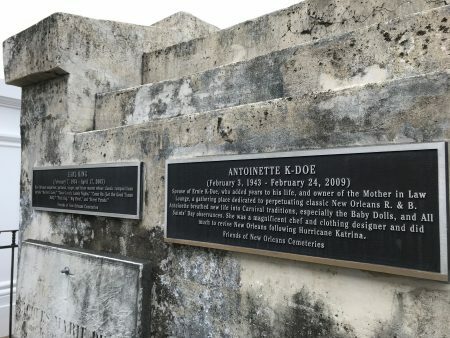 Final resting place of Ernie K-Doe (1936-2001), Antoinette K-Doe (1943-2009), and Earl King (1934-2003). 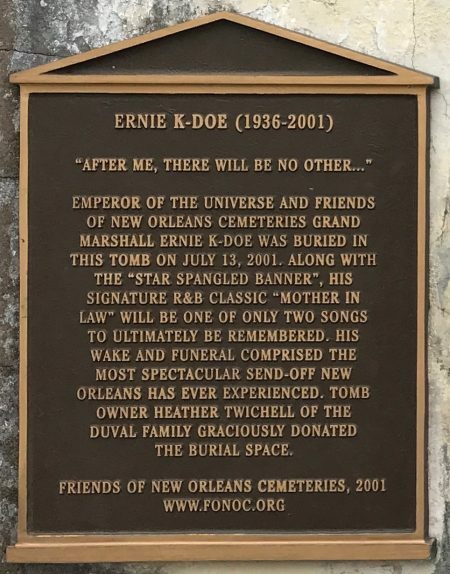 Plaque on the final resting place of Ernie K-Doe (1936-2001), Antoinette K-Doe (1943-2009), and Earl King (1934-2003). Courtesy o Jordan Hirsch. Photo by Jordan Hirsch. 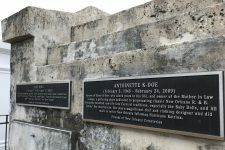 Plaques on the final resting place of Ernie K-Doe (1936-2001), Antoinette K-Doe (1943-2009), and Earl King (1934-2003). The great Earl King onstage in 1975. 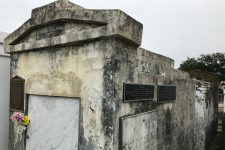 Wall vault including the final resting place of Jordan B. Noble (c. 1800-1890) drummer at the Battle of New Orleans who presaged the city's marching traditions. 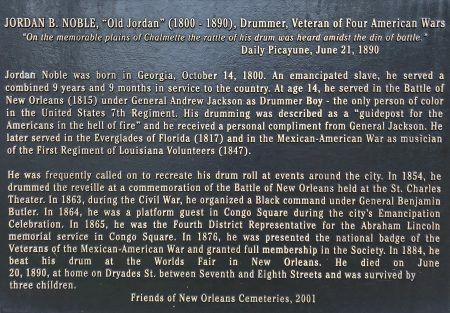 Plaque on the final resting place of Jordan B. Noble (c. 1800 - 1890), drummer at the Battle of New Orleans who presaged the city's marching traditions. 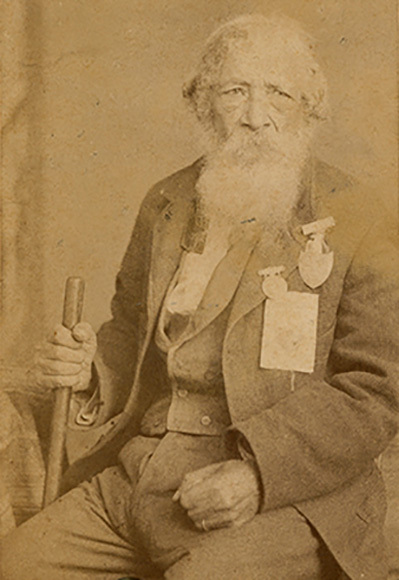 Jordan B. Noble, drummer at the Battle of New Orleans, near the end of his life. The Pichon family wall tomb in St. Louis Cemetery No. 2. 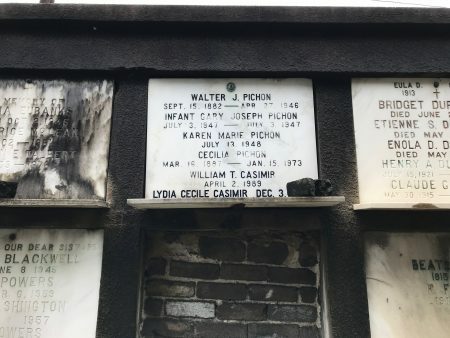 Walter and Cecilia Pichon were the parents of Walter Gabriel "Fats" Pichon, a gifted pianist interred here in 1967. Walter "Fats" Pichon, probably on the S.S. Capitol, the famous Mississippi River steamer. The William Russell Jazz Collection at The Historic New Orleans Collection, acquisition made possible by the Clarisse Claiborne Grima Fund. "Isidore 'Tuts' Washington: 1907 - 1984," by Almost Slim, Wavelength, September 1984.